Do you want your traffic to be glued to your content …. then read on to discover the secret behind it and how you can know what the searcher’s intent is? As we discussed in our last post that we should target certain keywords and try to rank them in Google, we will extend this discussion by telling you how to optimize your content to get maximum traffic and create content that will promote itself. You will be surprised to see the benefits that it will add to your website’s ranking and traffic pulling capacity. Q. What is searcher’s intent? Any individual searches for a certain term with a particular intention in his mind. This intention of the user is known as “Searcher’s Intent”. Q. Why is understanding the searcher’s intent so important for any content writer? It is very crucial to understand that the content which you are writing should satisfy the needs of the person searching for that keyword. It is the secret and important ingredient behind a successful content development because whenever a user finds what he/she was looking for after clicking on the organic search results for any keyword, he /she is deeply satisfied. We all know that Google’s goal is to satisfy the user and hence, it ranks that content high on the result page. Because that content has satisfied the searcher’s intent. This proves that if we want to rank our content on Google then it is very important to understand the exact intention and requirement of the user. Once you are successful in doing so, your content has a greater chance of ranking high on Google Search Engine result page. Q. 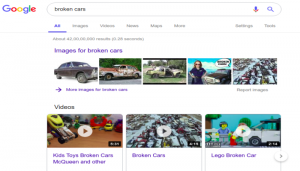 How many types of search intent are there? There are basically four types of search intent. Many people visit the internet when they want to search for some information. They type the keyword and look for the website that gives them the information that they were searching for. This type of intention for searching is known as Informational Intent. When people look for a particular website, it is known as Navigational Intent. For e.g: people searching for Twitter, Quora, Gmail, etc. This is beneficial only if the person is looking for that particular website. Otherwise, he will go to your website on the basis of the keyword, and when he will find it is not the website he was looking for, he will go out. Thus increasing your bounce rate and decreasing your dwell time. When people want to buy some product or service, they search for it online. Here, their intention is to make a transaction as soon as they find the exact product or service they were looking for. Hence this type of intent is known as Transactional Intent. There are some people who use the internet to search for different products and compare them, with the intention to buy the best product available. This type of search intent is known as comparison intent. For this type of search, a user generally types a keyword and searches the results one by one for comparison and then finally arrives at a decision. Q. How can a searcher’s intent be confusing? These results show different types of search intents. Different people are searching for different things online through the same keyword. So while doing keyword research and trying to understand searchers intent, we should see the results and analyse them. 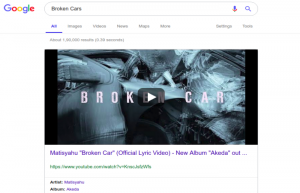 Like in the above example you can see that most of the people have searched for the song “Broken Cars”. Hence it is at the top. The second thing to be noted is that all the results appearing on the top 4 positions are that of images or videos. This means that people are searching more pictures and videos related to this keyword. There is another interesting fact that needs to be noted and analysed. There is no article or content related to this keywoard that has ranked on the top 5 positions on the result page of Google. This means that if you have a good piece of content on this keyword then you can try to rank it on Google and you have a fair chance of getting it ranked high as well. You only need to do a little research on the results and analyse the searcher’s intent for getting your work accomplished. It is writing such type of content which is either educational, informational or entertaining so that the readers are themselves keen to share the content on different digital platforms as well as on social media. This in return works as an advertisement for you and your content. The best kind of advertisement or promotion on the social media is when you sell your product to the reader without actually asking them to buy it. Most content marketers spend more time creating the content than actually promoting it through different mediums. According to a study, a content writer should spend 40% time on creating the content and 60% time on promoting it. But this doesn’t mean that he should compromise on the quality of his writing because ultimately only a great content can be promoted successfully. Whatever steps you take for promoting a content it will never succeed if it does not appeal to the audience. Q. How to optimize and promote your content online? Each and every content writer wants that his/her content should be read, liked and shared widely by the readers. But in order to make this true, only writing great content is not enough. Although it is of utmost importance, still you have to optimize your content and promote it online. Only if the content meets the eye of the reader, will he/she read it. So the content has to be promoted on all the online platforms in order to attract thousands of new visitors. In the next section of the post, I will provide you with certain tips which will certainly help you to optimize your content and promote it online. Here is a list of some great tips and techniques which are followed by most of the successful content writers to draw attention of the readers and get a huge traffic. You can always email your content to your sources so that they can read it and if they like it they can even share it and link it further. If you have mentioned someone’s name, his quote or shared any link then email the person telling him that you have done so. That person will automatically be interested in sharing the link or your content further to his sources. This way your content will be promoted by itself. Getting the email ids of influential people online is not that easy. So in order to connect to them you can take the help of LinkedIn. You can try to find their profile on LinkedIn and connect to them. Then you can message them and share your content with them. By looking at their LinkedIn profiles you can even find out the name of the different communities and groups that they belong to. You can join these groups and will be able to send a connection request to these people, as you have also become a member of that group. On getting a successful connection, you can request them, through a message directly, to go through your content, give feedback and share it if they like the content. When you get your content published, you should always share it on the different social media platforms. You should also mention the name of the people whom you have referenced. As soon as the people whom you have mentioned in your content will see their name or work being mentioned, they will read it and most likely share it further to their contacts. Thus your content will be automatically promoted without much effort. You can always convert your content like blogs, articles, whitepapers, etc, into video. People tend to remember things more if they see it visually instead of reading the same thing. According to a research, human communication consists of nearly 93% of visual content and only 7% of written content. Hence, you can very well understand the importance and effectiveness of visual content on your website or other social media platforms. Your content will appeal more to your audience if it is in the form of infographics or video clips. Simply write the important points from your post and with the help of tools like infogram convert it into an infographics. Most of us don’t know that every day around 100 million internet users watch videos online. This proves the fact that people love watching videos. After Google, the second biggest search engine is YouTube. So, if you repurpose your content into a video and add a backlink or a call-to-action button at the end, it will redirect the target audiences to your website. This will definitely increase the traffic of your website. 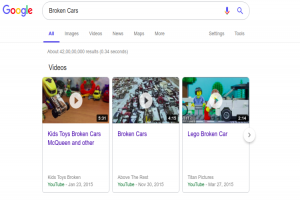 Google gives more space to the videos on the search engine result page. You will notice that Google includes a thumbnail of the video. This increases the click through rate. So you have more chances of having additional clicks on those thumbnails, even if your content does not rank on the top positions. Once your video is ready, you can publish it on websites like YouTube and Vimeo. You will definitely get more exposure. While you were writing your blog, you must have researched your topic and came across a lot of content similar to your topic. From these articles, copy their URLs and search them on different social media platforms like Twitter. There you will find the people who have shared these articles. You can connect to these people through direct messages, emails or contact form from their personal websites. You can tell them that you have published a content similar to the one they have shared and they may like your content. Tell them about the different points which you have covered and how it can be informative for the person. Ask him to share your content if he likes it. This way you will get new audiences for your content and some of them can even become your customers. Just like YouTube videos, slideshows are also popular and rank high in search results. You can convert your content into a slide deck using Slideshare. According to a survey, SlideShare receives tens of millions of unique visitors every month. You should also include a link to your own website having the original content. You should optimize the title and description of the slideshow so that your conflict ranks high in search engines like Google and Bing. By repurposing your content into a slideshow you have a greater chance of being found as you will be catering to the needs of a completely new target audience who may be seeing your content for the first time. Slideshow presentations are also easy to understand and remember. You can also share your content on niche forums and communities like Reddit. It is the biggest community on the internet. While sharing your content, don’t just mention your link. Instead, add a small description of your content and how it can benefit the members of the community. While choosing a particular forum or community for sharing your content, make sure that the community has a particular audience. You should also participate and discuss on the subjects of your choice. Because it should not appear that you are interested only on promoting your own content and not in the forum or the community itself. Most important is to abide by the rules of the community. Breaking these rules can even trigger a ban on you and your contents and thus losing a good scope of promoting your content. It is a forum as well as a bookmarking site. Here you will be able to reach a highly targeted audience, who are generally entrepreneurs, who want to learn from the best. It is a great place for people with great content from all over the world to get noticed and appreciated. It is a niche social content site. It has a positive thinking and helpful community that is always very enthusiastic to read awesome contents. If you submit really high – quality content then you can even appear in the Biz Sugar Top 10 newsletter or you can even become the “Contributor of the Week”. The greatest benefit of submitting your contents on niche forum and communities is that you will get the more targeted audience and your chances of converting them into your customers are increased by many folds. You will also get genuine feedback and more information regarding your industry. Do you know that Facebook alone drives 25% of the overall traffic to different websites? You can benefit from this information very much. You can have a business page on Facebook. Keep on posting engaging contents like photos, interesting and attractive contests, quizzes, etc. regularly on your business page. This makes your readers click on your page. Every time a reader clicks on one of your posts through likes, comments or photo shares, Facebook understands that the reader is interested in this content. So Facebook will show more and more of your contents and posts. On clicking these links the reader lands on your website, thus driving more traffic from Facebook and increasing your chances of converting them into valuable customers. Hope this post will definitely guide you to optimize your contents so that it promotes itself among new audiences and drives more traffic to your website in huge number. In my next post, I will tell you how to get backlinks to your blog posts so that your content ranks high on Google.